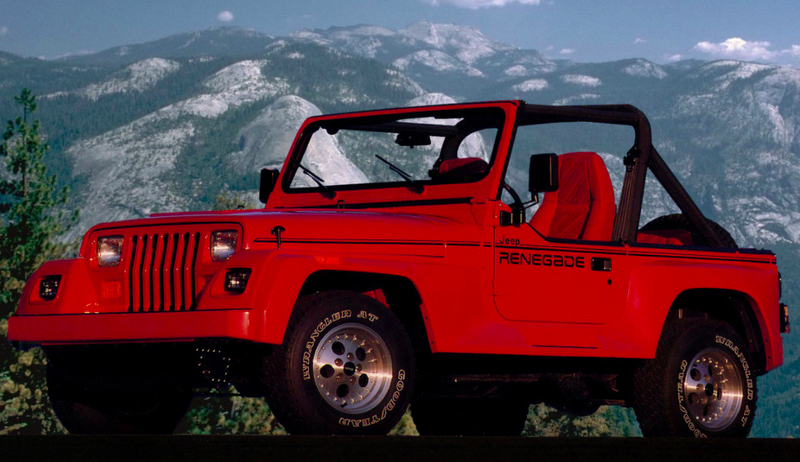 Starting in 1991, Jeep offered on its Jeep Wrangler YJ a “Renegade Decor Group,” a box which—when ticked—turned the already controversial square headlight Wrangler into a hideous mess. What are some other special editions that somehow managed to ruin decent cars? The YJ Renegade was an option package done by an aftermarket company named American Specialty Cars out of Detroit. Jeep sent standard Wranglers to ASC, where the vehicle was ruined via a ridiculous body kit, wild graphics, unique flashy interior, and totally ’80s five-hole alloys. Why anyone would buy this Jeep is beyond me, but it was the ’80s—the decade of poor automotive taste. I’m sure the Wrangler YJ isn’t the only example, so what are some other trim packages or special editions that totally ruined otherwise-decent cars?